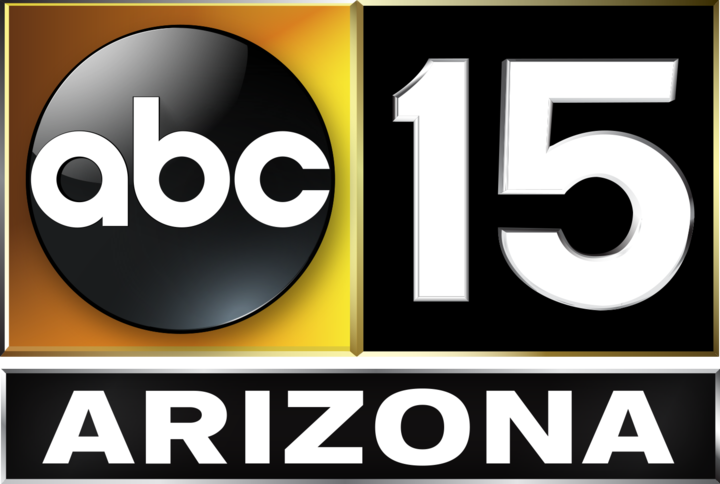 The Arizona Cardinals take on the Baltimore Ravens Monday at University of Phoenix Stadium. Two Minute Warning of the first half. 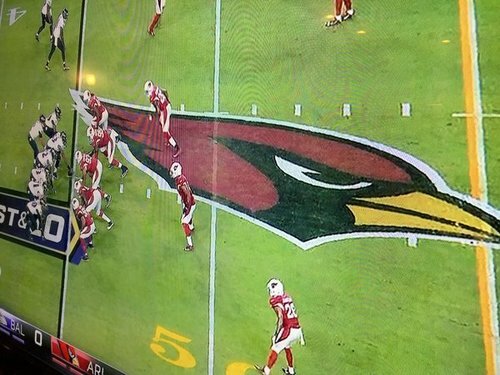 #AZCardinals 2nd and goal from the 1. It's a fumble! @Jbet26 ripped it out! 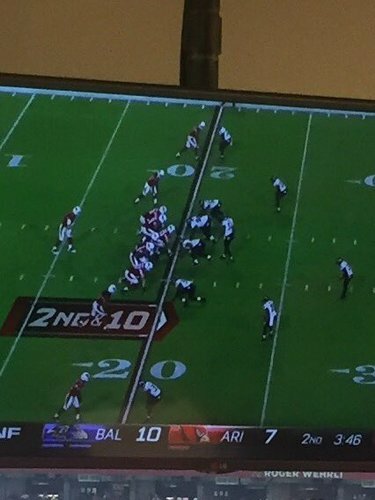 First down #AZCardinals at the #Ravens 12. The #Ravens cap an 8 play, 84 yard drive with a 14yd TD run by Justin Forsett. Ravens pick up the first down. 7 mins to play in the first half. On 3rd and 6, the #Ravens get 9 yards to their own 30. 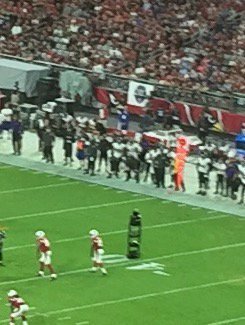 After #AZCardinals punt and #Ravens penalty, BAL takes over on their own 16. Ok, breathing room. 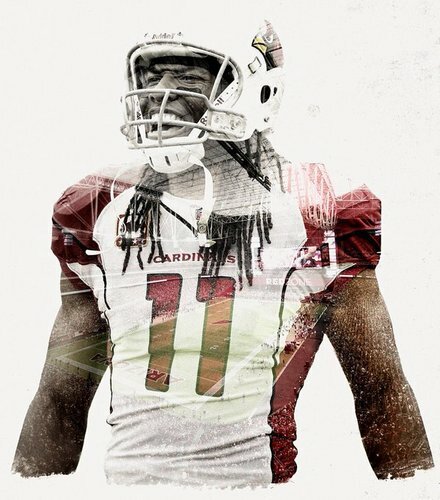 #AZCardinals QB Carson Palmer hits @LarryFitzgerald for 14 yards and a first down. 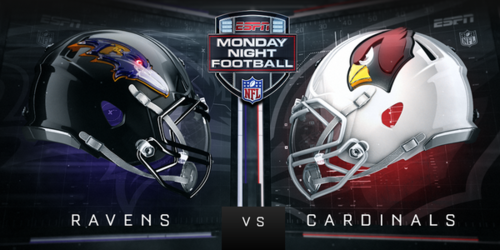 The #Ravens down a punt on the #AZCardinals 1 yard line. Let's go 99. You can call him the #HoneyBadger or @Mathieu_Era . End of 1st. 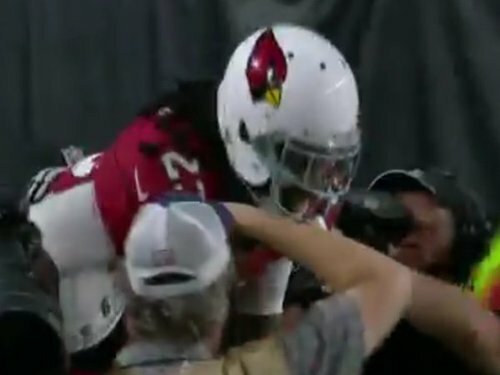 AZ 7 Baltimore 3! 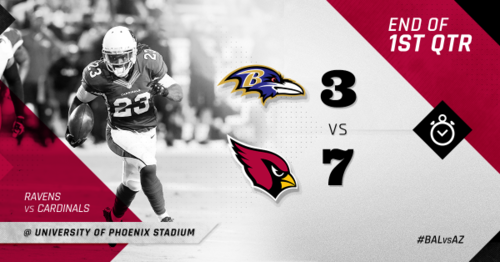 The #Ravens are driving into #AZCardinals territory. Currently at the 38. We like it. We like it a lot. 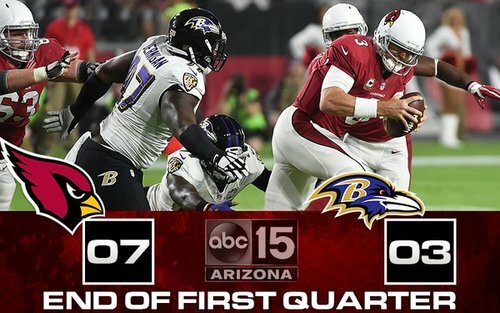 Great 3 play drive by the Cardinals! Make that 7 - 3 Arizona with 3:59 to go in the 1st. 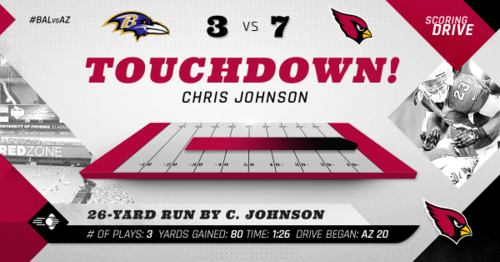 Chris Johnson 26yd TD!